Colombia’s prosecution said Friday it would charge more than a dozen former executives of the popular Chiquita bananas on charges they used death squads to increase profits. In a press statement, the prosecution said that 13 former Chiquita executives, including three Americans, one Costa Rican and one Honduran for mass killings by paramilitary groups that took place between 1997 and 2004, will be expected in court to respond to terrorism support charges. The criminal charges against Chiquita are the first after more than a century of often brutal labor practices, initially under the name of the United Fruits Company. 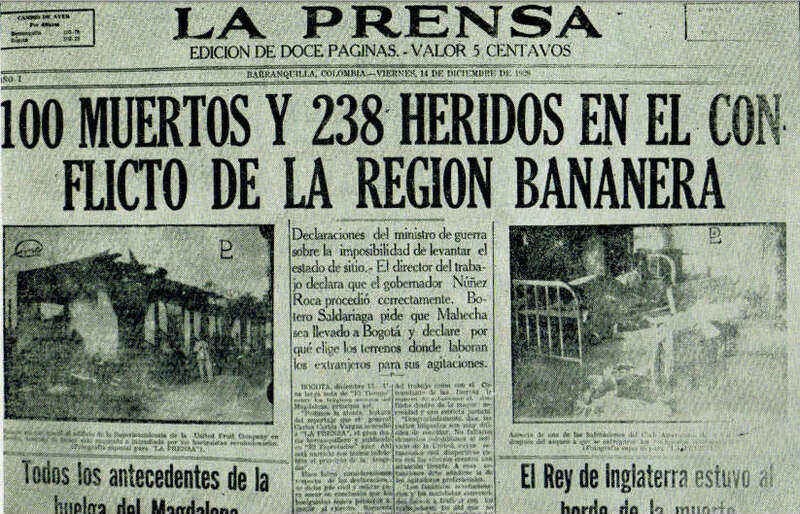 Now-defunct newspaper La Prensa reports on December 14, 1928 that 100 striking United Fruits workers were massacred. How much blood is there on a banana? Hundreds, possibly thousands of locals were murdered by paramilitary group AUC in Chiquita’s area of influence in the northwestern Uraba region. 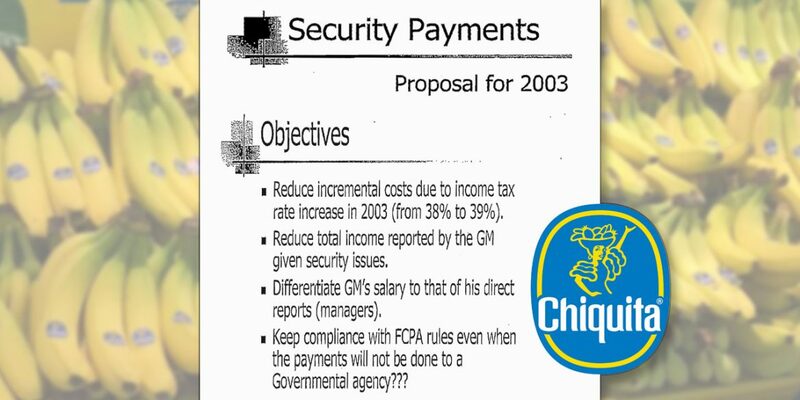 The AUC paramilitaries received $1.7 million from Chiquita between 1997 and 2004, the year that possible legal consequences of the mass human rights violations forced the company to leave the country. The available evidence would prove the participation of managers and some employees of these companies, either through decision-making, intervention and/or participation in the promotion and financing of the illegal group. The Prosecutor General’s Office established that the payments were delivered directly and consigned to the bank accounts of an organization that was created to support the illegal armed structures of the self-defense groups (AUC). The most prominent of these politicians is former President Alvaro Uribe, who signed off on the front companies used by Chiquita’s paramilitary groups when he was governor of Antioquia between 1995 and 1998. 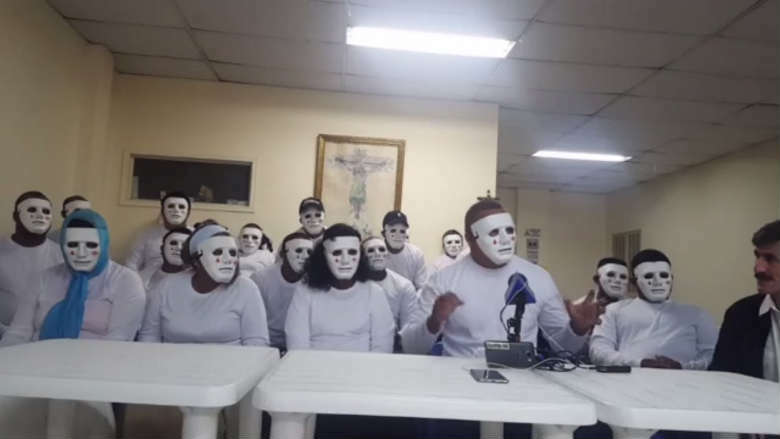 Uribe is expected to appear before the Supreme Court within weeks over his own alleged role in the formation of a paramilitary group of his own. More than 60 congressmen and seven former governors have already been sent to prison for using death squads for political gain. In the 1990s, Chiquita paid “protection money” to communist FARC guerrillas so the group would allow the banana company to work in the Uraba region that was under their control. The group ended up kidnapping six American citizens and killed hundreds of political opponents while on the banana company’s payroll. To get rid of the guerrillas, Chiquita paid the AUC paramilitary group more than $1.7 million between 1997 and 2004, the year that the possible legal consequences of the mass killings forced the company to sell its plantations and leave the country. Chiquita agreed to compensate the families of six American citizens who were kidnapped and killed by the Chiquita-paid FARC guerrillas in the 1990s. But the company has so far refused to compensate the thousands of victims left by the paramilitary groups that quelled labor unrest with Chiquita money. No Chiquita executive has ever been criminally charged in Colombia, in spite the fact the prosecution possessed hundreds of testimonies and pieces of evidence linking the banana giant to the death squads’ crimes against humanity. The company would not immediately respond to the new criminal charges.